Should you focus on formal education or the self-education? Self Education Vs Formal Education, Which should you choose? This has been a great confusion which every person has in his mind. If you want to learn the best lessons of your life, then you should make sure that you choose to learn to educate yourself from within. Getting a formal education in the school won’t help you to learn the necessary lessons of your life, and that’s why you need to focus on your self-education. A person who wants to learn something really is always passionate about that particular thing. 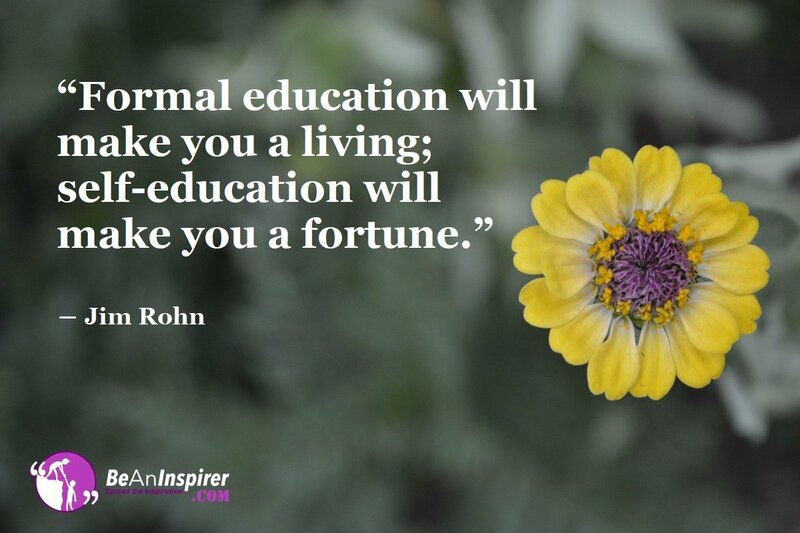 Self-education vs Formal education can make you learn everything with a better aspect. Formal education can make a person forget many things, but self-education will be remembered by a person forever. So, if you have learned to focus on self-education rather than getting high marks in formal education, then no one can stop you from becoming successful. Self-Education Vs Formal Education: Which one do you have after School? After leaving school, you don’t apply all the concepts in your real life, and that’s why you forget most of those things easily. The education which is left out after you have completed your school life is the education which will help you to live your life. So, it becomes very important to understand the importance of Self Education Vs Formal Education and live your life in such a way that you can be able to focus on self-education instead of paying attention to the formal education. Even if you are a teacher, you should try to make the children learn the importance of self-education because that is going to last forever. Facts might seem important while getting grades in exams but you can’t be able to learn values with formal education. A person with values must have focused more on self-education. A self-educated person has more strength to cope up with all the difficulties of life, and if you want to spend a better life, then you need to concentrate on educating your inner self. A person who has learned the art of Self-education vs Formal education would always keep learning throughout his life. Learning is all that counts for becoming successful, and that’s why you shouldn’t stop learning ever. What do you want to say about Self Education Vs Formal Education? Do write in comment box given below and share your views and thoughts regarding self-education and more of its benefits which can influence the lives of humans. If you really want to learn something about anything, then you should understand the concept of self-education.